CAIF: Who, what, where, and why? So much has happened the past month that I don’t even know where to start. The construction on our house is almost done. Right now we’re waiting for the floors and kitchen to be installed and we should be done. I’ll make sure to post pictures once everything is done. Last week PJ and I started going to CAIF. Now I’m sure you guys, like me, are wondering what exactly CAIF is. CAIF is a government run daycare that employs psychologists to work with parents on ideal parenting techniques. They start off with pregnancy classes to prepare for arrival of baby. Once baby comes they go to a Mommy and Me class once a week (what PJ and I are doing now). 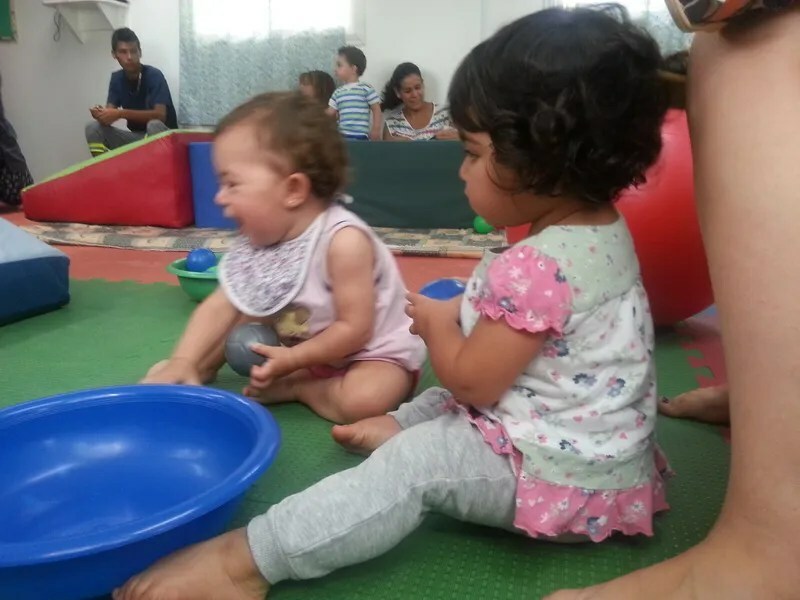 At two years old the child can start attending CAIF for either four or eight hours a day without their parent. All of this with little to no cost to the parents. In order to get into the CAIF Carlos and I had to fill out a questionnaire along with an interview with the head psychologist to assess our views on parenting. The questionnaire was filled with questions you might expect such as what is your highest level of education and what do you do for a living. But it also had questions I thought were odd such as what type of roofing material does our house have and do we have well water or are supplied by the water company. The interview was filled with even stranger questions. But I think what surprised me the most during the interview was when they asked us our views on discipline and hitting our child. I’m aware that there are parents that use violence as a way to instill discipline, however I never thought it would be an issue when dealing with a bunch of one-year olds. Playing with a new friend! This was her first day. We had our interview in November 2014. The CAIF runs the same as schools, open in February and close in December. But like I said, once your child turns two you get free childcare until they start school at age four. Who can really complain? PJ and I started going last week and so far so good! We’re there for about two hours every Tuesday and it’s divided into play time, craft time, guided discussion, and snack time. 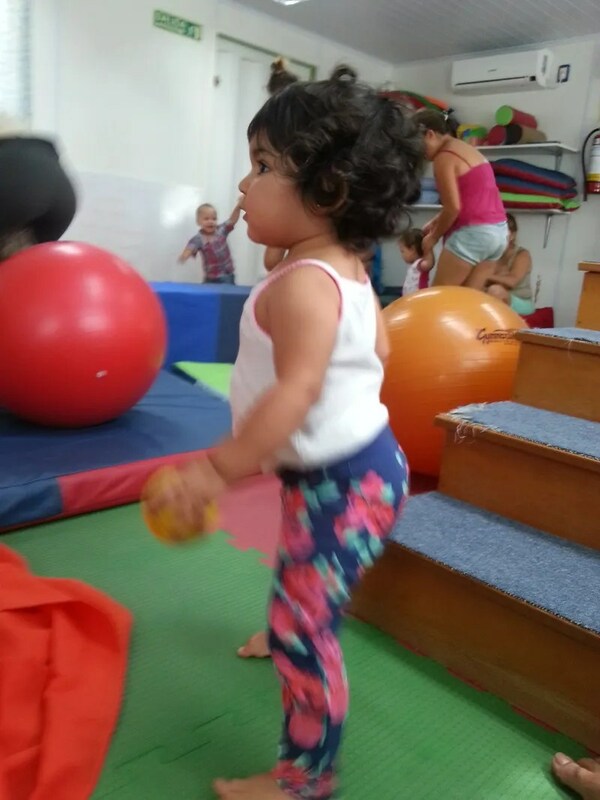 Paloma has had a lot of fun running around and playing with other kids. She’s one of the older ones by about two or three months but it’s so strange to see the developmental difference between a one year old and Paloma at 16 months. She LOVES climbing the fake stairs they have and staring at herself in the mirror. 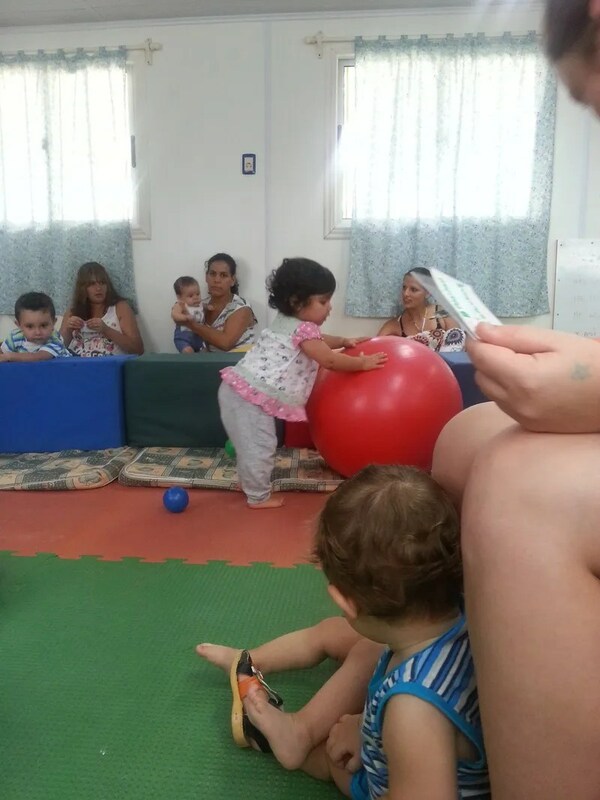 Childcare is such an issue all over the world and I LOVE that Uruguay has addressed this issue by providing free childcare to parents in need. I remember when I was pregnant and living in the States I had this internal debate on what I would do about childcare. What I would spend on childcare and what I would make from work did not make financial sense. However we really couldn’t live without my income. Luckily we’re not in a position now where childcare is a necessity but it’s good to know it’s available whenever needed. Can always count on PJ to steal the balls. Paloma enjoying CAIF too much to pause for a picture. Posted on March 18, 2015 March 18, 2015 Categories Motherhood, UruguayTags american, CAIF, childcare, expat, expatriot, mommy and me, motherhood, uruguay2 Comments on CAIF: Who, what, where, and why?